Lawrence in his book Culture and Values A Survey of the Humanities, stated that ÃÂEarly sixteenth-century Renaissance culture was a study in contrasts. The period not only marked a time when some of the most refined artistic accomplishments were achieved, it was also a period of great social upheavalÃÂ(332). In fact, there were many outstanding artists at that time, among them were Castiglione known for their philosophy of life and Cellini the first artist who really lived his own life. Castiglione was a well-rounded man with chivalry spirit as the author described ÃÂHe was a versatile man ÃÂ a person of profound leaning, equipped with physical and martial skills, and possessed of a noble and refined demeanorÃÂ(332). The fact that he well-educated and aristocratic, he worked at the Urbino court from 1504 to 1506 and decided to write The Courtier that took him dozen years. According to the book he wrote, a true gentlemen should have brain and have adequate knowledge about history but the most important thing is do not rely in Christian. He also mentioned in his book about how to refined courtesy because when we redefined courtesy, we can clean the court. A cleaned court leads to a clean country. In addition, a well-rounded person according to Castiglione should do all thing ÃÂsprezzaturaÃÂ means behavior in which every action is do not with effort and though about it. The influence of his book mainly impacted to the upper classes that taught what gentlemen should be. He imagined a courtierÃÂs world is a world very wealthy and aristocratic. 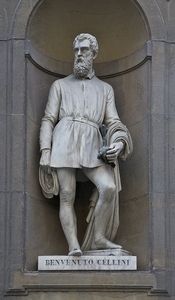 ÃÂCellini was a talented Florentine goldsmith and sculptor whose life, frankly chronicled, was a seemingly never-ending panorama of violence, intrigue, quarrel, sexual excess, egotism, and political machinationÃÂ(333). He lived a period of religious, political, social and military. He was the first artist ever frankly tell about his personal life at this period. In contrast with Castiglione who wrote The Courtier, CelliniÃÂs life was very normal, he did whatever he want, he dared to love and do not care how public criticized him. In short, Cellini did not consider the most talented sculptors and nobody can deny his skill as a craftsman. An airy look of Castiglione and Cellini show us the contrast in humanÃÂs way of life. In one hand, Castiglione was seemed to be perfect but in my point of view, his imaginary world was hard to be reach. In the other hand, I like Cellini who was a normal guy with his own talent. Life is short and maybe he knew it and he dated to do unusual thing despite of public opinion. WriteWork contributors. 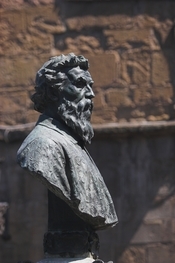 "A Quick Look at Castiglione and Cellini Life" WriteWork.com. WriteWork.com, 23 December, 2009. Web. 21 Apr. 2019.